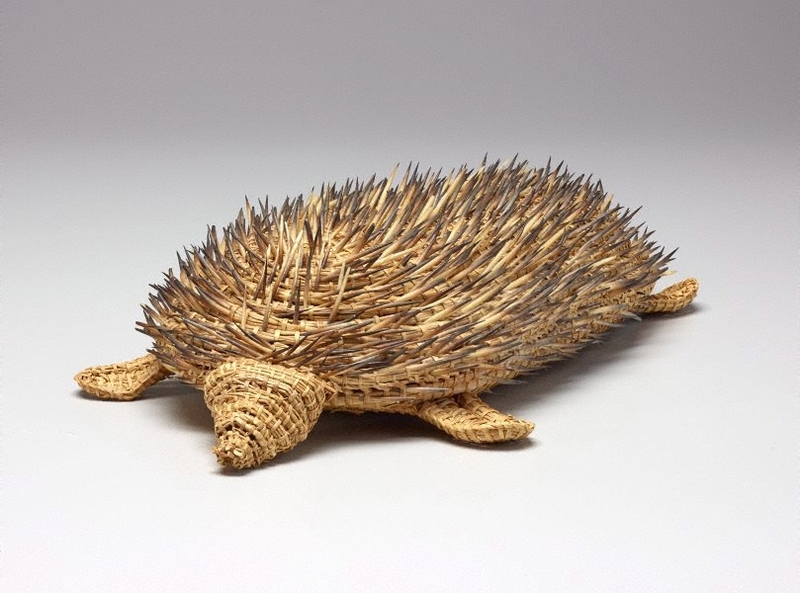 Koolmatrie began to practice the weaving technique and gradually to experiment with form, extending the range of objects she had studied in the South Australian Museum '...to put my story in my weaving'. For Koolmatrie, the near loss of the Ngarrindjeri weaving tradition crystallised a twofold responsibility: to pass on her skills and to create work of the highest possible standards so that her fibre forms will endure for generations. Koolmatrie views it as her obligation to retain and refine this technique and to pass the skills she has learnt on to others. She runs workshops throughout South Australia and interstate and she is represented in major collections. Koolmatrie’s innovative interpretations of traditional forms appeared in numerous interpretations of traditional forms have appeared in numerous exhibitions, including her representation in the Australian exhibition, 'fluent', at the 1997 Venice Biennale.